Our clients can avail from us a comprehensive range of Bagging System that has been specifically designed in tandem with the industrial standards and has been availed to the customers at market leading price range. We are known in the industry as leading manufacturer and supplier of Bagging System. Offered by us, these bagging system are well acknowledged for its durable quality and hugely popular among clients along all topographical regions. We in range offer Semi Automatic Bagging System For Caustic / Grains for our valued clients. We are leading supplier ofGrains Packing System. Our client can avail this item from us at a reasonable rate. We are leading supplierofSemi-Automatic Bagging Packing Machine. Gained by the years of industry experience, we manufacture and supply to our precious clients with quality-assured Semi Automatic Bagging System For Caustic / Grains. These Semi Automatic Bagging System For Caustic / Grains are offered by are built with precision and quality-tested, which makes them suitable for use in diverse industries. Our offerings are known for providing reliable performance and accurate results. 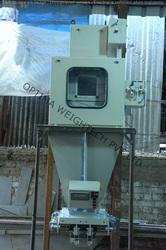 We offer this machinery in tamper proof packing to ensure that our offering reaches our client's damage free. We are leading supplier ofGrains Packing Machine. Client can avail this product from us at a reasonable rate. We are leading supplier ofAutomatic Bagging Machine. We are offering this product to our client at a reasonable rate. 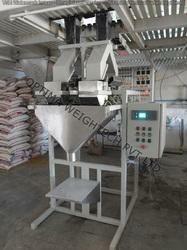 We are leading supplier ofFully Automatic Bagging System. We are leading supplier of Fully Automatic Bagging Machine. 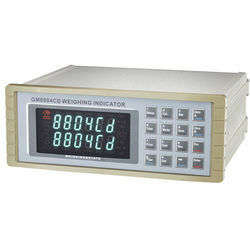 We are leading supplier of Dual Head Bagging Controller. High speed or combination packing mode can be selected. 28 input and output control (12 in and 16 out), and all the input/output lines are user programmable. Function of I/O testing for significantly decreasing the difficulties of installation and packing system testing on the working field on- spot. Automatic feeding control of three-way asynchronies feeding speed, and the optional "jog feeding" function makes the man-machine interface more friendly. All the calibration can be manually done by inputting millivolt data through the front panel (instead of calibration using actual load or weight). Ten recipes can be programmed and stored within this controller for future choice and use. 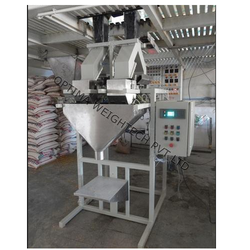 Connect a packing scale to the feeding equipment becomes very easy because of the feeding control function. Multilevel of the digital filter is used for reliability. Function of batching number setting. We are offering this itemJumbo Bagging System to our client at a reasonable rate.